Dr. Jennifer Donahue, MD is a Doctor primarily located in Groton, CT. She has 21 years of experience. Her specialties include Family Medicine. She speaks English. Dr. Donahue has received 4 awards. The overall average patient rating of Dr. Jennifer Donahue is Great. Dr. Jennifer Donahue has been rated by 14 patients. From those 14 patients 4 of those left a comment along with their rating. The overall rating for Dr. Jennifer Donahue is 4.4 of 5.0 stars. Dr. Donahue is a Family Practice physician with an interest in Women's Health. She has been working in the Mystic area since 2000. Dr. Donahue especially enjoys working with young women as they transition to adulthood. She enjoys spending time with her family and enjoys skating with the local Roller Derby league, Shoreline Roller Derby. 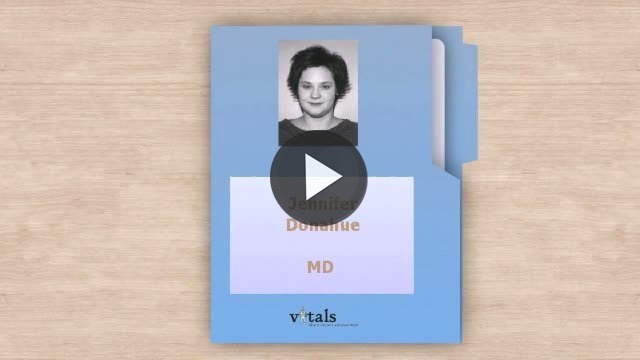 Take a minute to learn about Dr. Jennifer Donahue, MD - Family Medicine in Groton, CT, in this video.